The transition of the physical therapy service to ATI Physical Therapy’s national resources and local team gives the quality that has always been our goal. Our vision since inception has been to provide our community with integrated health resources of physical therapy, personal training, health focused classes, workshops and learning opportunities. My transition to Balance Movement Studio will allow constant interaction & involvement with the ATI team while broadening my work to provide a continuum of health resources for the community. This transition for me is a natural progression that has been several years in the planning. My long time business partner Rob Schneider will continue to direct the great therapy team we have assembled. By joining Balanced Movement Studio, I will broaden my services to provide “Movement Lessons” in person, to groups & online. What is a Movement Lesson? The way we move is the way in which we embody health. In physical therapy, we seek to improve movement and overcome pain and injury with the effects of exercises and modalities. While these practices can indeed create desired changes, when true learning occurs, those changes can become personalized & permanent, potentially informing all aspects of a person’s life. Throughout his physical career, Brian has found that it is the learning that occurs in a session that generates the most powerful change for a person. If a session is skillfully crafted, then the results can be even more beneficial, since the process can be applicable to our own individual body, with its distinct history and experience, our own health and the experience of our very own life. It is my goal that a “movement lesson” session can be deep, robust, complex, and rich enough to provide learning on all of these levels while improving your ability to do your desired life activities. Movement Lessons combine modalities such as physical therapy, Feldenkrais® method, Tai Chi, and our developing understandings of learning & personal growth. Brian’s own personal interest and involvement in Endurance Athletics has honed an expertise in applying these concepts for improving running and cycling health and performance. Brian Beatty, Physical Therapist & Feldenkrais practitioner founded Balanced Physical Therapy in 1999 and guided the company through a merger with Proaxis Therapy in April 2012. In 2016 he will be providing his services as a component of his wife Elizabeth Towe’s company, Balanced Movement Studio, which has operated in adjoining space in Carrboro since 2003. Brian has a particular focus on endurance athletics, hip, pelvis & spinal issues and ‘hard to solve’ movement or chronic pain problems. An avid cyclist, runner and tai chi student, he enjoys almost any outdoor activity, and regularly presents on topics related to endurance athletics. Clinically he strives to combine physical therapy expertise with his interests in motor learning, movement arts and healing techniques so that his clients not only resolve their discomforts, but become smarter and more efficient in everything they do. Brian Beatty, the son of physical therapists, received his physical therapy degree from The University of North Carolina at Chapel Hill in 1994 after earning a BS in Math from UNC-CH in 1986. Brian has been working in private, orthopedic based practice for his whole PT career, founded Balanced Physical Therapy in 1999 and guided the company to a merger with Proaxis Therapy in April 2012. 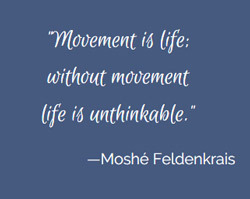 He is an active member of the American Physical Therapy Association, and a Certified Feldenkrais Practitioner. In 2016 Brian will be joining his wife’s company, Balanced Movement Studio, where he will be providing Movement Lessons for clients. He will continue to be involved with the ATI PT team as an ally for patient continuum of care & community events. For current ATI patients he will guide a transition to other ATI therapists. For new referrals requesting his service, Brian is available to discuss their needs and desires to guide them to the appropriate ATI personnel. I wish to continue physical therapy with ATI, who will take over my care? In the same place as always, 304 Weaver St, Carrboro. There is a plan for a renovation of the downstairs space in early 2016. At that time all of Balanced Movement Studio will move into the adjoining upstairs space. What will be Brian’s involvement with ATI PT? He will be in the same building & continuing to interact with the ATI team, exchange ideas on care, support community events & engage in co-educational activities & discussions. 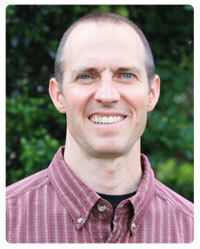 This transition has been a long time coming as Brian’s practice style & interests have evolved. Brian’s contract with Proaxis ended this year & the transition to ATI on track. The strength & resources of the ATI team led by Rob Schneider has allowed Brian to back away from the responsibilities of running a physical therapy practice. With the change Brian will focus on a broader integration of skills, studies & interests for providing health & wellness to our community. Will Balanced Movement Studio accept and file insurance? No. Payment will be fee for service at the time of the appointment; Balanced Movement Studio will not be filing insurance or accepting third party reimbursement for any services. Appointments are scheduled online through our website. If you need an appointment time that is outside of the normal hours, email Brian directly with a specific request. It is our desire to accommodate all needs. If you have not scheduled online before, you will need to register through the website the first time. It is easy, we promise. For convenience, you can pre-pay when you schedule and avoid using a portion of the appointment time for payment transaction. If for some reason you are unable to keep a pre-paid appointment, the credit will carry forward to your next session.